Third: is a two-minute film the right way to tell the world what they think? Quick answers: 1. Yes 2. Not like this 3. No. Brand purpose is fashionable but that doesn’t make it wrong. Gillette has always been about helping men feel good about themselves – not through advocating self-improvement, as many women’s beauty brands do, but through doing the basics well. Dove is perhaps the closest thing to a brand that tries to do the same for women, though it still assumes women must aspire to beauty, and merely broadens the parameters of that beauty to include older and chubbier women. Gillette is now stepping up a gear, daring to express an opinion in the #metoo world. That is admirable. It’s hardly a radical opinion, but it’s still a radical move. Men aren’t accustomed to pressure from brand advertising to improve themselves. And this goes much further. Even if you don’t take it as personal criticism, no one enjoys an attack on their tribe. If Gillette now subscribes to a different view of manhood, one which rejects narrow interpretations of masculinity as a precursor for being a man, what should they do about it? They should act on it. Supporting the right charities, which they say they’re doing, is a start, though $1m a year for three years is not much of a commitment. It should go far beyond charitable donations. It’s about reviewing their own behaviour, considering the implications in everything they do as a business. At the very least, Gillette people need to walk the walk, get involved with those causes, make a difference. If they are doing this, they’ve not told us. There are other short-term actions they could take. Real principles are the ones that cost you. Equalising prices for male and female grooming might show they mean it. Instead they’ve made a long advertisement telling men how to be nice men not nasty men, and by implication telling women Gillette is nice and on their side. Advertising is the lazy way out. Effective communication starts with the audience – what do they think and feel now, what outcome do you want, how will you achieve that? Communication that starts with what you want to say, then says it, risks landing badly, as this has done. It’s striking how decent men feel got at by this film, even though they agree with its substance. 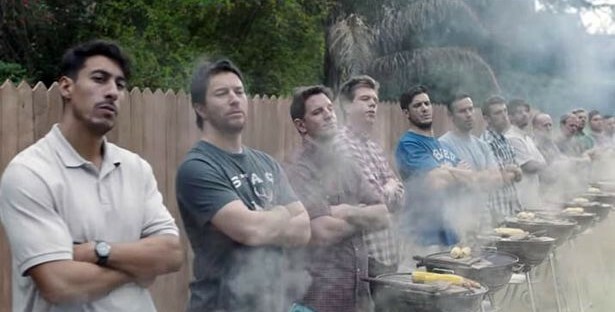 Gillette hasn’t earned the right to lecture men. I don’t buy the argument that women do the grocery shopping therefore the ad is aimed at them. Alienating your user isn’t smart even if someone else does the shopping. I hope the backlash won’t deter the Gillette team from pressing on and making meaningful changes to back up the virtue-signalling. Encouraging men to show their softer side is hardly a bold move. Helping to tackle male violence, which affects both men and women, would be more useful. Part of the problem is that businesses, and the marketers in them, are impatient. They want to show something is happening, but changing society takes a long time. Hence the instant gratification of making an advert. If they mean it, this cannot be a one-off.